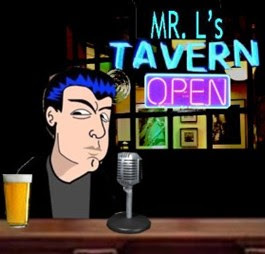 Mr.L's Tavern: Hey, Remember When Obama Told Us The War on Terror Is Over? Hey, Remember When Obama Told Us The War on Terror Is Over? Trying to sift through the details, the information and misinformation of the Boston Terrorist Attack 4/15/2013 is daunting. We live in the 21st century and it is like we have a 19th century media. Liberal media doing their usual salivating and hoping that the terrorist is a “right wing” from a tea party and not an Arab Muslim. Whether or not the perp is a homegrown, foreign or domestic terrorist, the Obama administration, DHS and other authorities failed to keep the people of Boston safe. Hey, remember when Obama told us the War on Terror was over? Pray for Boston and pray that America survives the next few years of Obama’s negligent, stonewalling, deceiving and criminal administration.